UNPO stands united with the World Sindhi Congress (WSC) in their deeply felt dismay at the suicide bombing of 16 February 2017, at the Sufi Qalandar Lal Shahbaz shrine in Sehwan, Sindh, which cost the lives of at least 50 worshipers. In a press release, the World Sindhi Congress condemned the Pakistani Government’s support of violent extremists, warning that such attacks jeopardised the Sindhi secular way of life and underlining the authorities’ policy to marginalise Sindhi voices through constant harassment, enforced disappearances and extrajudicial killings. WSC, therefore, calls on the international community to increase its pressure on Pakistan in order that those who are aiding and abetting such heinous attacks are brought to justice. The World Sindhi Congress (WSC) is deeply saddened and shocked at the massacre at the shrine of Qalandar Lal Shahbaz in Sehwan, Sindh. 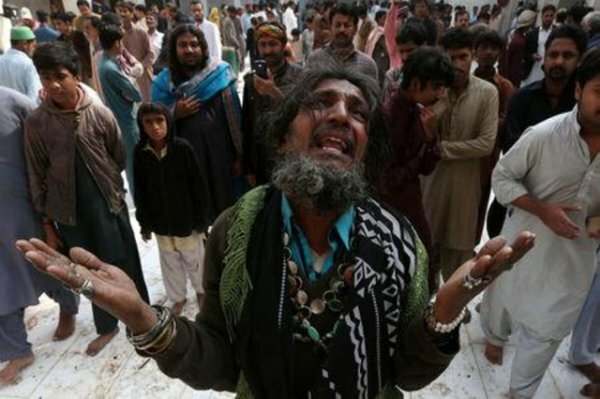 A suicide bomber exploded himself when hundreds of people were participating in a Sufi ritual dance called ‘Dhamal.' The latest news suggests more than 50 dead and hundreds injured. The death toll is increasing by the hour as seriously injured succumbing to death. The situation has been further worsened due to inadequate medical facilities. WSC believes the incident is a part of an ongoing multi-facet attack on the Sindhi society and existence of Sindhis as a nation by creating fear, terror through unleashing abductions, extrajudicial killings, and massacres such as this. WSC believes [that] unless we hesitate to identify the cause of this violence, it will not be possible to challenge the perpetrators of terrorism. “It is a state that thrives on violence against its people. Sindh’s secular fabric is being torn with such attacks,” said Dr. Rubina Greenwood, Chairperson of the World Sindhi Congress. In the face of this onslaught and trauma, WSC requests all the Sindhi patriotic parties to unite to have a coherent strategy to save Sindhi people from violence, marginalization, terror and fear. WSC request the international community to exert pressure and increase their effort on Pakistani state to withdraw their strategic and systematic support to violent extremism. WSC also demands not only compensation for injured and dead but also accountability of those who are responsible for providing security to such people.